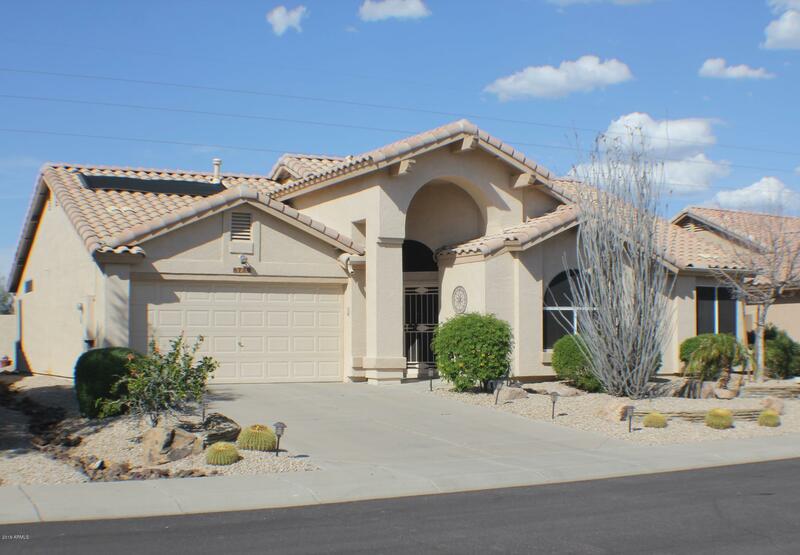 All EAGLE RIDGE PHASE 2 AT WE homes currently listed for sale in Peoria as of 04/24/2019 are shown below. You can change the search criteria at any time by pressing the 'Change Search' button below. "This home is truly move in ready! Large corner lot is low maintenance w/sprinkler system. Mbdrm has e/e door, oak lam. flooring & the other 2 bdrms have new carpet. Tile thru-out the remainder of the home. Beautiful gas fireplace in the family room. Wood shutters thru-out. 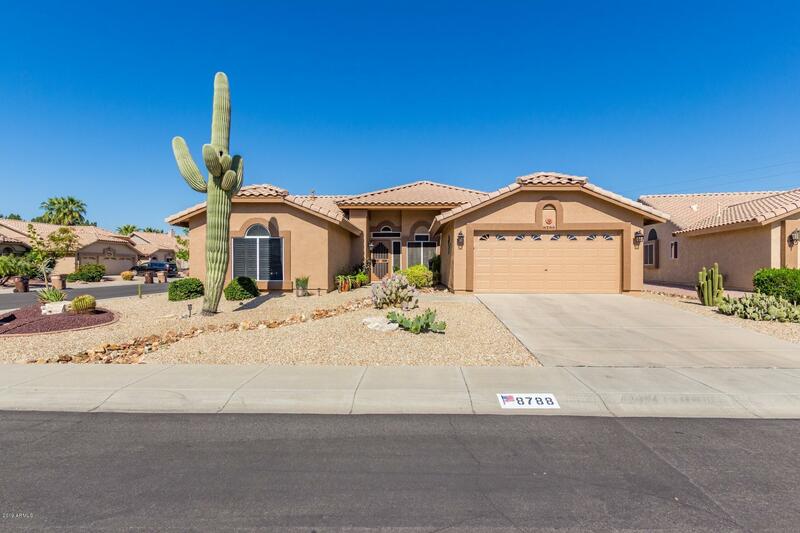 In 2018, owner had int & ext painted; new copper piping for water shut off; garage remodeled w/epoxy flooring, workbench, & cabinets; new ceiling fans in fam room & patio; granite countertops in kitchen; custom screen doors & "
"This home shows like a model. Vaulted ceilings make the home open, light and airy. Concrete floors to mimic wood throughout the home. Customized paint scheme. Concrete counters in both bathrooms and kitchen with painted cupboards. Split floor plan with 3 bedrooms. Covered patio with above ground jacuzzi (as is) and built in barbeque. Built in cabinets in laundry room and garage with an area just for golf clubs. You really have to see this home to believe it."